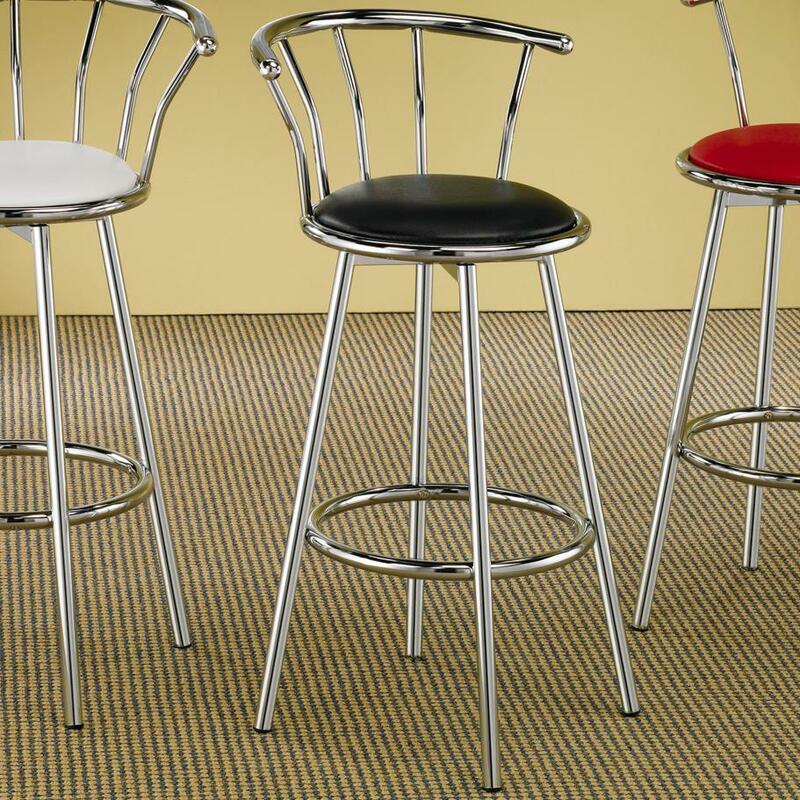 With the retro styling of this bar stool, create an entertaining and enjoyable sitting or dining area. 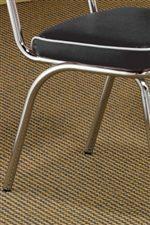 The cushioned seat, available in either white, black or red, and chrome plated frame offer a 1950's diner appeal. Whether you are playing a card game, enjoying a drink, or savoring a tasty meal, the relaxed designs of this pub chair will offer comfort and style. For a polished look, pair with the 50's soda fountain bar table! 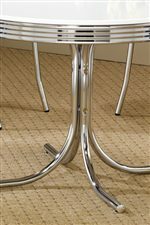 The Cleveland Chrome Plated Bar Stool with Upholstered Seat by Rooms Collection Two at Rooms Furniture in the Houston, Sugar Land, Katy, Missouri City, Texas area. Product availability may vary. Contact us for the most current availability on this product. Finish & Paint Options Black or White finish tops with chrome accents. The Cleveland collection is a great option if you are looking for Casual furniture in the Houston, Sugar Land, Katy, Missouri City, Texas area. Browse other items in the Cleveland collection from Rooms Furniture in the Houston, Sugar Land, Katy, Missouri City, Texas area.